В первом номере журнала Siemens Medical Solutions за 2014 год была опубликована статья «Российская революция в диагностической радиологии» о истории развития ЛДЦ МИБС. Скачать журнал (pdf, 10Mb, статья на стр. 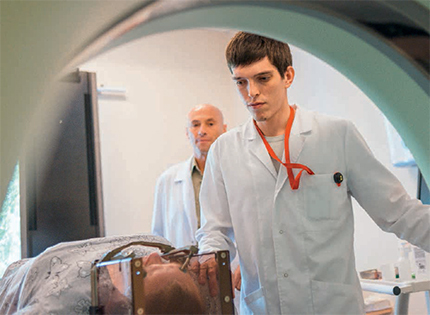 60) Ten years ago, Dr. Arkady Stolpner opened the first privately owned magnetic resonance imaging center in Russia. Today, his centers perform 20 percent of MRI exams all over the country. And for ten years now, Arkady Stolpner has placed his trust in Siemens equipment. Driving his car through the pine woods north of St. Petersburg in sunny June weather, Dr. Arkady Stolpner asks his assistant by phone to purchase a ticket for a flight to Kazakhstan next week – the next diagnostic center will be opened there, and Stolpner is taking care of it himself. At the sign “Gamma Knife Center” Stolpner turns right – and we’re at the core of Stolpner’s empire. It is an empire that helped change Russian healthcare. 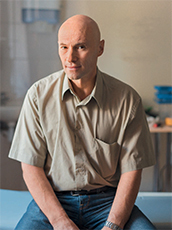 Stolpner, now in his mid-fifties and a dynamic, friendly man, is a very good example of a Russian self-made man: He began working as a doctor in the eighties, but when Gorbachev’s perestroika made it possible, Stolpner founded the first Russian hospital for traditional Chinese medicine. The turbulences of the nineties put a quick end to the experiment, but by 2003 the times had changed again. It was Sergey Berezin, an old friend and well-known doctor, who proposed to Stolpner to open private magnetic resonance imaging (MRI) diagnostic centers. “Back then, in order to get an MRI diagnosis in one of the state-owned clinics of St. Petersburg, you had to wait four months,” says Stolpner, while sitting in his office in the Gamma-Knife Center, nowadays a diagnostic and treatment facility with 50 beds, radiation oncology, surgery, and chemotherapy departments. Instinct and Trust “At that time, the state-owned clinics were totally underequipped, and there were no private diagnostic centers with MRI,” explains Stolpner, “but everybody told us that it would never work out because of the costs.” Stolpner, however, trusted his instinct and founded the Diagnostic Treatment Centre of the International Institute of Biological Systems (DTC IIBS). And his basic assumption – that there is demand for high-class medical diagnostics that is not being met by the state-dominated medical institutions – proved right. 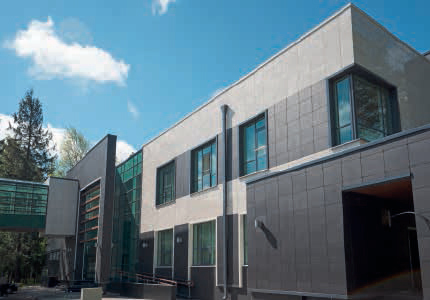 The center bought its first Siemens MRI system and welcomed their first patient in August 2003. In December 2004, Stolpner opened a second center in the nearby town of Tver, and a third center in 2005 in the Siberian city Krasnoyarsk, which is 5,500 kilometers away. “We understood: If we can manage a center that far away, we can do it anywhere in the country,” says Stolpner. Because service is a big issue when you have long distances to go for technicians and spare parts, DTC IIBS trained its own service engineers from the very beginning.